Escape rooms have been exponentially advancing in puzzle design, creative tech installations, and immersive elements, and some rooms do this VERY well. 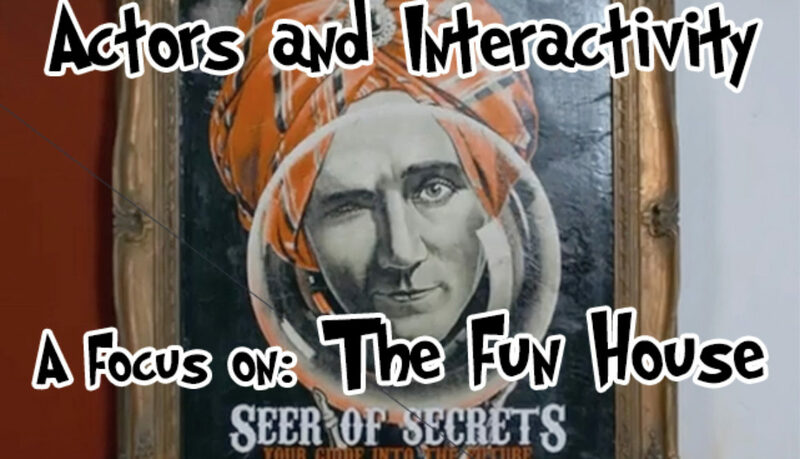 Here is part 1 of 3 where Jason talks about actors, interactivity, immersive elements, and how we utilize them all in The Fun House! 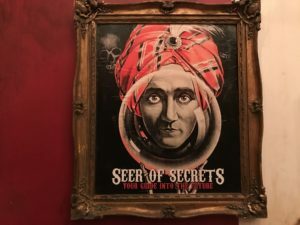 One way that escape rooms have tried to change the game is by incorporating elements of immersive theatre to their rooms. Usually, this takes the form of an actor or actors that play certain roles within the room. By adding actors to your room, you can increase the immersion for players by giving them a living, breathing part of the game to interact with. The actors can be used to illicit a variety of emotional responses from the players, based on what theme the room is. For instance, if you were designing a horror room you could implement a scare actor to pop out and frighten the players adding an aura of dread that will follow the players as they open each new room. On the flip side of that, you could always employ an actor to play a funny or silly character. A great example of this is The Great and Amazing Zoltar, the Seer of Secrets who resides in our Fun House. Zoltar interacts with players by telling really bad “Dad jokes”, puns, and by being strange and bizarre. Zoltar serves a dual function: he adds to the wacky atmosphere of the game with his witty humor and narcissistic demands for compliments, while also serving as our game’s hint system. Regardless of how Zoltar is utilized by the players, simply being a live, interactive experience enriches the overall atmosphere of the room. The key to a successful interactive Escape Room element is, you guessed it, immersion. When a player approaches Zoltar and tries their best to flatter and persuade him onto their side, it feels like it is part of the game. The players are not just standing around waiting for someone to show up and point something out, resulting in getting pulled out from the immersion. Instead, they are playing a sort of minigame with Zoltar where their reward is a riddle, piece of elderly advice, or joke that points them in the right direction. They are immersed in the experience while receiving hints AND while completing the room. Next time on “Changing the Game” with Jason, we discuss game play mechanics and obstacles with examples from our beloved Hex Room! Greetings and salutations dear reader. I am Zoltar the Great, the seer of secrets, and today I am your guide to the rest of your life as a clueless clown. Yes, dear reader, even though you have failed to escape the Fun House and now find yourself eternally employed as a clown, there is still so much to look forward to. Under the big top there are thousands of jobs that must be done every day, and not all of them are suited for a magician. After all, while they were off solving puzzles and using their enormously large brains, was it not you that was shouting the loudest? While they were trying to carefully inspect their clues, was it not you that was juggling the fastest? That’s right! There are many things that a clown does that simply makes no sense to a magician. So, if the job requires a bit of nonsense or general whimsy, a magician will simply fall flat. And because of that, there will always be a need for clowns. It is simply a fact of life that clowns have more fun than magicians do. I mean… sure… you could just play the game and solve the puzzles needed to escape; but a clown will take time to smell the roses along the way. For a clown, it isn’t enough to simply get a secret spinning decoder used to translate ancient and esoteric hieroglyphics into a usable clue; a clown must spin that secret decoder several dozen times simply because it spins. Oh, how wonderful it must feel to be a clown! See, don’t you feel better now? Some people get so carried away with the idea of “winning” or “losing” and they forget that the most important part of the Fun House is… the FUN. Win or lose, magician or clown, as long as you had fun playing, that is all that matters. So, go ahead and shine on my crazy diamonds… shine on. Greetings and salutations dear readers. ‘Tis I, Zoltar the great, the seer of secrets, knower of unknowns, and your guide to a great holiday escape. Are you wracking your brain trying to think of activities to keep the family happy while they are visiting? Do you want to be the cool mom or dad that takes the family to try something new this week? Well worry not, dear reader, your friend Zoltar has you covered! After all, it can be incredibly difficult to find an activity that everyone can enjoy doing together. The Fun House is a perfect blend of challenging mental puzzles, wacky antics, and good clean family humor. The Fun House is guaranteed to be the hip new outing that you’ve been looking for. We have two versions of the game, making it versatile for any age ranges. If you “grown-ups” are looking for great fun and good laughs, then we can set the game to challenge even the wittiest of you. However, if you are bringing a bunch of youngster magicians into the room, then we can alter the game to our Fun House KIDS version! 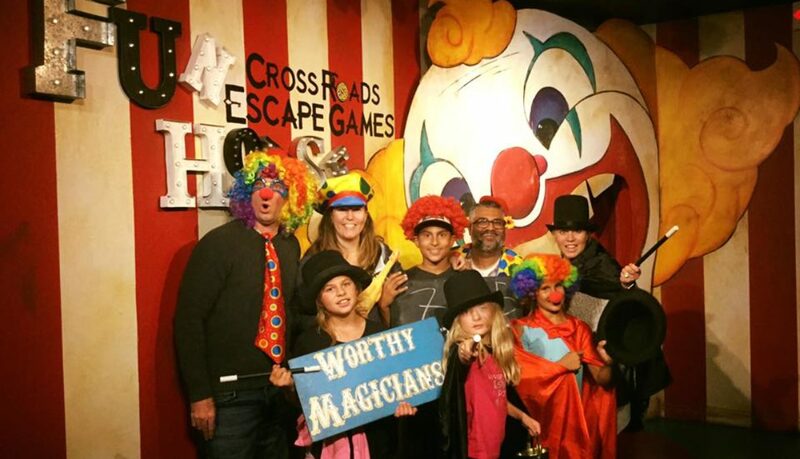 We are happy to be one of the only SoCal escape rooms that caters to groups of all ages. In the Kids version we take out some of the more complicated puzzles and replace them with puzzles that are more appropriate for those under the age of 12, as well as adding in a scavenger hunt! So, keep an eye out for those carnival tokens when you are in the room! You see dear reader, here at Cross Roads Escape Games we are dedicated to making your experience as thrilling as possible. 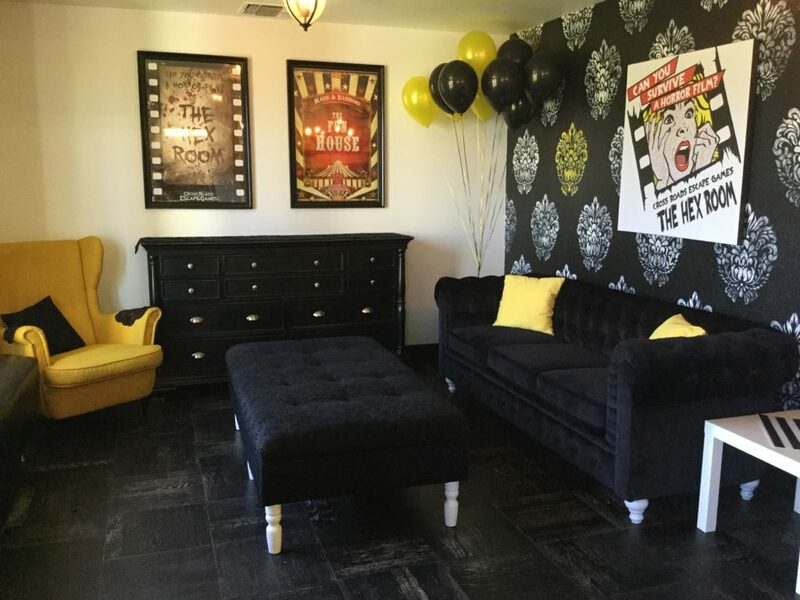 And if you are feeling a bit more daring, then you can check out our Hex Room! But remember that room is for ages 16 and up. Till next time dear reader. Greetings and salutations dear reader! Tis I again, Zoltar the Great, Seer of secrets, and your guide to celebrating the Fun House’s 2nd birthday! In honor of the 2nd birthday of the Fun House I figured it would be fun to take a moment to reflect on how our lives were before The Fun House opened its doors and be grateful that we no longer live in the desolate wastelands that existed during that time. I know that many of you were sad, lost, and (dare I say) despondent in the days before the Fun House, as was I dear reader… as was I. But then, like a shining beacon of hope, the Fun House manifested and… and… well… it just seemed to lack something. It needed something big; something new and intelligent; something with well-groomed eyebrows and a chin that don’t quit; it needed, of course, me! Yes, I remember the day that the Great Cross Roads Circus found me in an old self storage unit. I had been left for all eternity behind a slowly fading painting of Madonna. One of the Rhoades ringleaders heard my cries of help and, doing what any half decent ringleader would do, came to the rescue of the crying Madonna painting! It wasn’t until she had already taken the Madonna painting and had turned to leave that she realized that it was, in fact, MY painting that was talking. Sorry Madonna. You may have the looks, but I have the looks and the voice! In the dust and darkness of the storage unit, I met the great ring leaders of the Cross Roads Circus for the first time. It was there that the great ringleader recognized my talent and did the only sensible thing to do … placed me right in the center of attention in the Fun House! What has been the best part of living in The Fun House for these two years? Without a doubt, it has been acting as a mentor, muse, and supportive shoulder on which to cry (metaphorically of course, for I was not painted with shoulders) for many hopeful apprentices. Each day I help these aspiring souls to think more creatively, to believe more profoundly, to laugh, share, joke, play, and enjoy life to the fullest. I don’t want to put understate just how intensely moving a game in The Fun House can be. Each game I help people discover whether they are truly Magnificent Magicians or Clueless Clowns and each one of us is better for it. Ah yes. It has been two great years filled with many amazing magicians and clowns of all age! Our circus has grown quite large in the last couple years and continues to grow every day. I sure do look forward to even more wonderful years of magic, mystery, and perhaps a few jokes along the way. 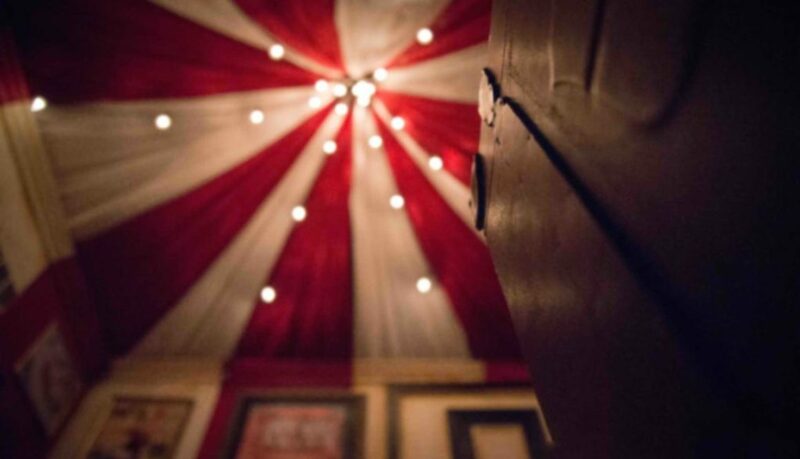 If you haven’t had the chance to test your wits in our topsy-turvy Fun House yet, then I suggest you come on down as soon as possible and find out if you have what it takes to be a worthy magician or if you are simply a clueless clown. That sounds like an important bit of personal discovery if you ask me. The Seer of Secrets and your guide into the future. Prizes! Everyone loves prizes! 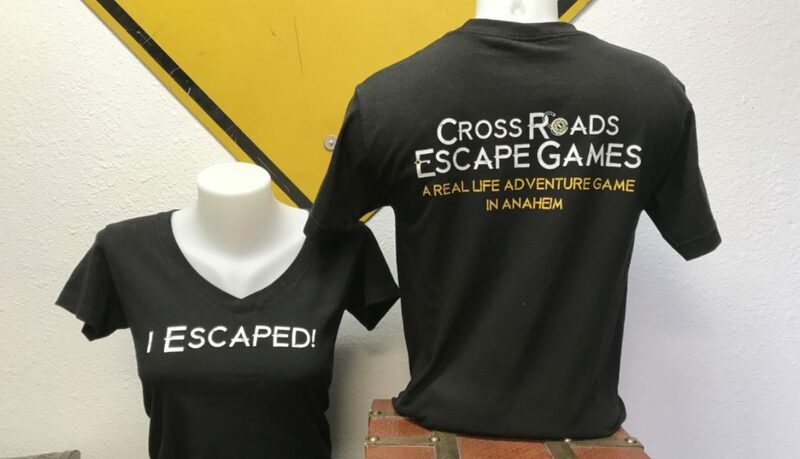 Did you know that Cross Roads Escape Games is one of the very few escape rooms that gives out prizes? Even if you don’t escape, every group leaves with something. 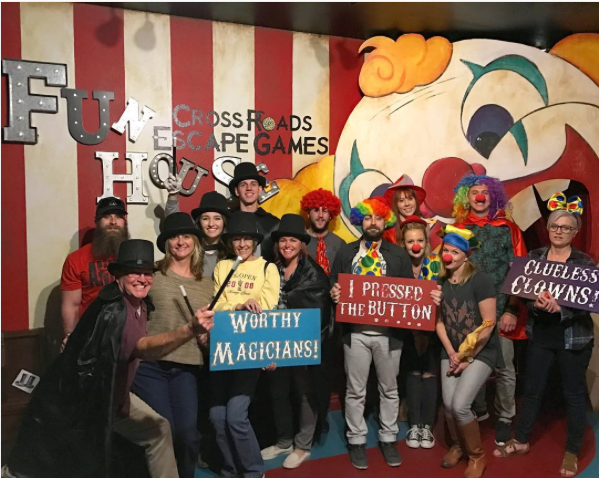 We are escape room enthusiasts too, and our favorite thing to do after an escape room is to sit down with our team and talk about it over some food and drinks. Next time you visit us, make sure to head to Top Class Pizza or Stereo Brewing afterwards! Top Class Pizza, located at 1026 N Tustin Ave in Anaheim, is less than a mile away from Cross Roads and serves fresh gourmet pizzas, salads, sandwiches, and pasta. Their pizza crust is to die for and their Chicken Alfredo pizza is a Cross Road’s favorite! Just for playing a game at Cross Roads Escape Games, Top Class Pizza offers a 10% off coupon to all players OR a buy-one-get-one-free coupon to the few who manage to successfully escape! 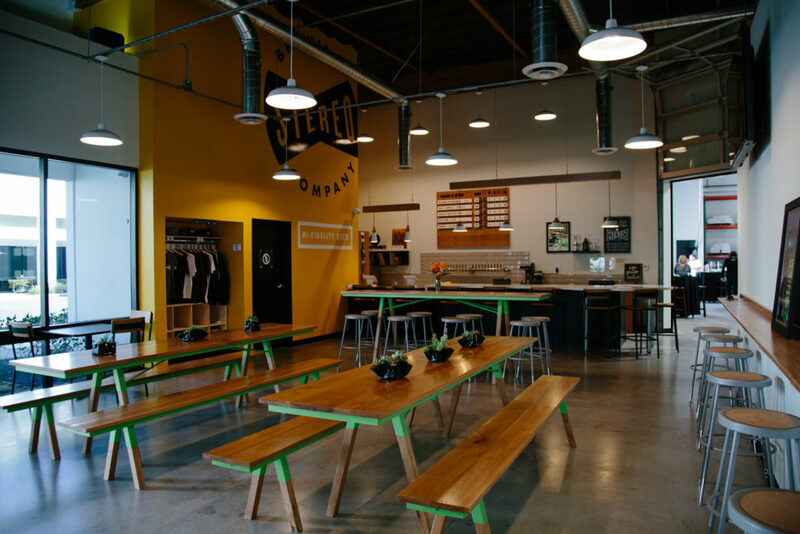 Stereo Brewing, located at 950 S Via Rodeo in Placentia, is .7 miles away from Cross Roads and is the new hip brewery in town. Stereo Brewing has a great selection of beer on tap, fun music, and sometimes food trucks for when you want a bite to eat with your drink. Just for playing, guests receive a 15% off coupon for any beer on tap, OR if they escape they win a 25% off coupon for any beer on tap! Our current favorite is the ‘Wall of Sound’ Oatmeal Stout. As you probably know, our escape rates are fairly low. 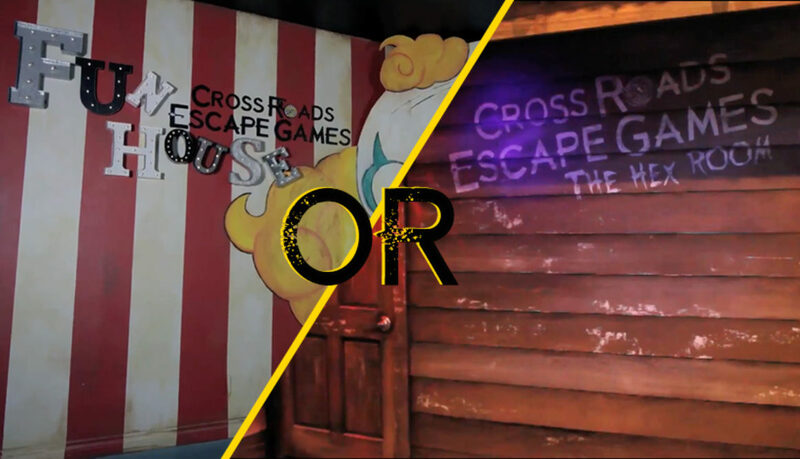 On average, 40% of players escape The Fun House and 20% escape The Hex Room. 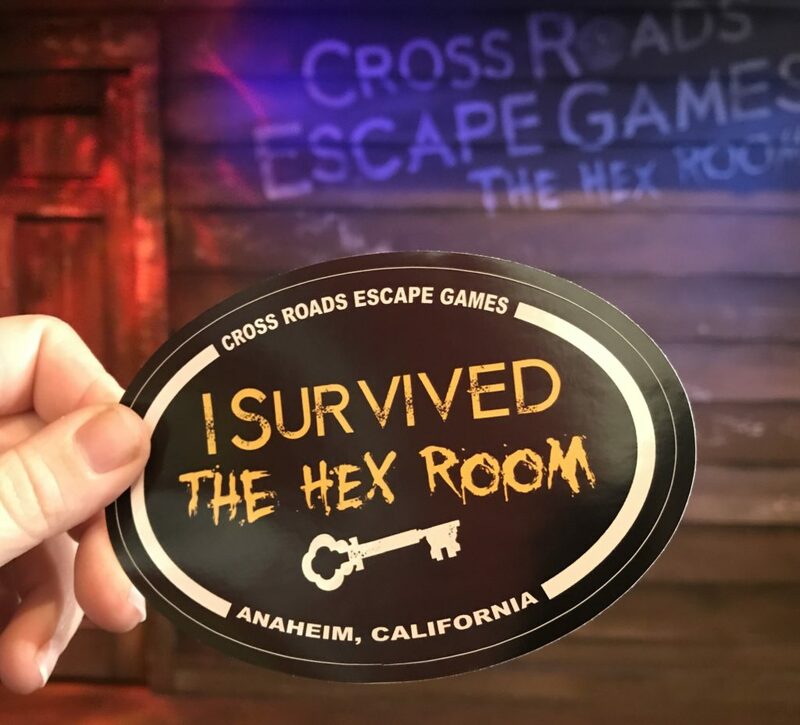 The Hex Room also has an additional challenge to “survive” that only 5% are able to complete and escape. If you are a part of this 5% of survivors, then you also win a free “I survived” sticker! Wear it proud because you are one of the few! If you play The Fun House KIDS, our alternative kid version of The Fun House for children under the age of 13, there is a bonus challenge inside the game to collect 8 gold coins. If all 8 coins are found, kids get to pick a prize from our treasure chest! Our treasure chest is full of an assortment of toys that change all the time! Now, this trophy is not free like the other prizes we have, but it is worth bragging about. 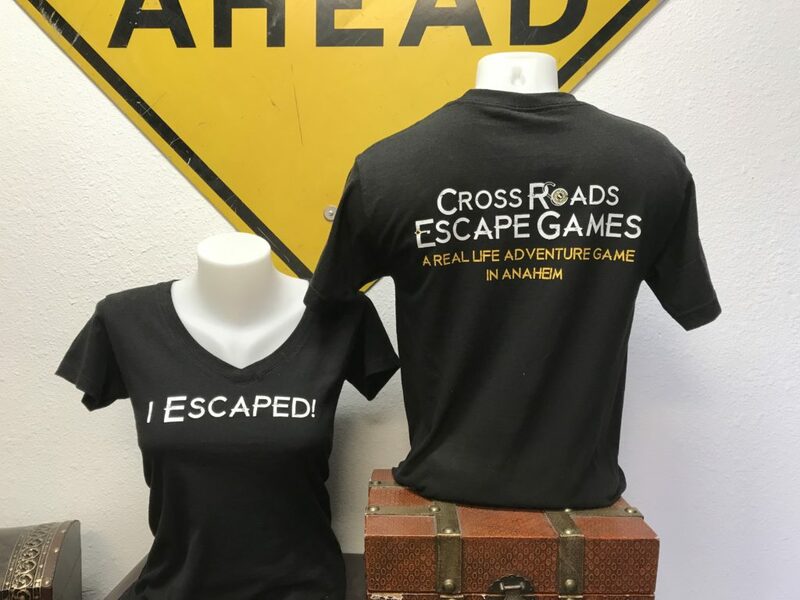 If you manage to escape either of our games, you are qualified to purchase an “I escaped” t-shirt! We are very strict on our t-shirt sales and will only sell our “I escaped” shirts to those who actually escape. Yes, we have turned down many offers. T-shirts can be purchased in store for $20. We have both men’s crew neck and woman’s V-neck styles in sizes S-XXL. We know our games are not easy, so that is why we believe everyone deserves a prize! Book your game with us and see what one you will leave with! Greetings and salutations dearest reader! I am Zoltar the Great, Seer of secrets, and your guide to the funniest thing I have ever seen in the Fun House! Many people have asked me, “Zoltar, do you enjoy hanging around and laughing with your players all day?” My answer to this question is simple. Yes. Yes, I most certainly do. It would be apt to say that I revel in the shenanigans that my players come up with while under the big top. Oh, I could go on and on about the many laughs shared between myself and my players. But of all the different types of people that have visited me here in the Fun House, there was one that tickles my funny bone to this day. I call him Mr. Literal! Yes! We all know someone like Mr. Literal. This person takes your word for everything. This person often finds simple instructions to be unintuitive and frustrating. This is the person that when you say, “give me a second”, will count to one out loud and then ask if you are ready yet. Yes, you know exactly who I am talking about, don’t you? One of my fondest memories was created by someone who took everything I said too seriously. This all started when Mr. Literal asked for a clue to a puzzle that one of his team mates was in the process of solving. My response to Mr. Literal was “If you put your heads together I’m sure you’ll be able to figure it out.” Mr. Literal stared at me with slowly widening eyes as the dawn of realization passed over him. He then turned to his team and demanded a huddle. “Zoltar says that we need to put our heads together!” He shouted as his team huddled around him. He then stuck his head towards the center of his huddle circle. The other team mates exchanged looks of skepticism as they slowly leaned in and touched their heads together. Now… I could have said something and put a stop to it right there, but honestly, I was curious to see how far this would go… So, I asked if they had figured it out yet. Of course, there was nothing to figure out, but Mr. Literal immediately replied that they were still working on it. “Are you sure you are standing in the right spot?” I asked. The words popped out of my mouth unbidden and drenched in sarcasm. Most people would have realized in that moment that literally putting their heads together couldn’t possibly solve a puzzle… But this wasn’t most people; This was Mr. Literal! And do you know what he did next? He told everyone to move to the center of the room and everyone in the group began to move their feet together shuffling towards the center of the room with their heads pressed together. “He said that if we put our heads together we should be able to figure out our puzzle.” In that moment, his entire team groaned audibly and pushed away from the huddle. Mr. Literal stood there with a confused look on his face as his team walked away to go back to solving puzzles and I laughed harder than I have ever laughed in my life. This was indeed one of the funniest moments I have ever experienced in all my time in The Fun House. Perhaps, dear readers, I shall reveal more of my favorite stories from the big top in the future. 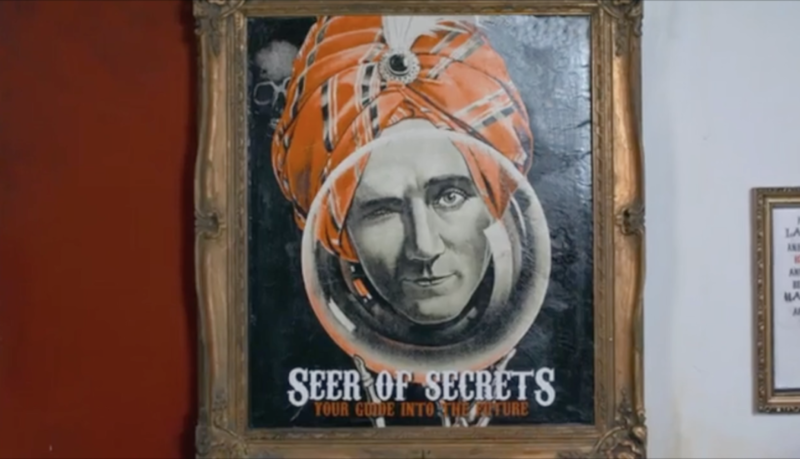 Make sure to keep an eye out for more of Zoltar’s Premonitions! Of course, not literally. The Holiday season is fast approaching, and for many people that means family gatherings. There’s always a lot of fuss during these next few months, dealing with travel schedules, cleaning, lodging, dining, and most importantly, entertaining. Though I cannot help you with everything, allow me to suggest some entertainment that can include the entire family and leave a lasting impression. Last Christmas I got to visit my parents in San Antonio, Texas. My brother, my cousin, and his wife joined us for an early Christmas Eve dinner. After we finished eating, we were looking for something fun to do as a family. My brother suggested trying a local escape room, so we set off to solve a mystery aboard a pirate ship. We had a great time. 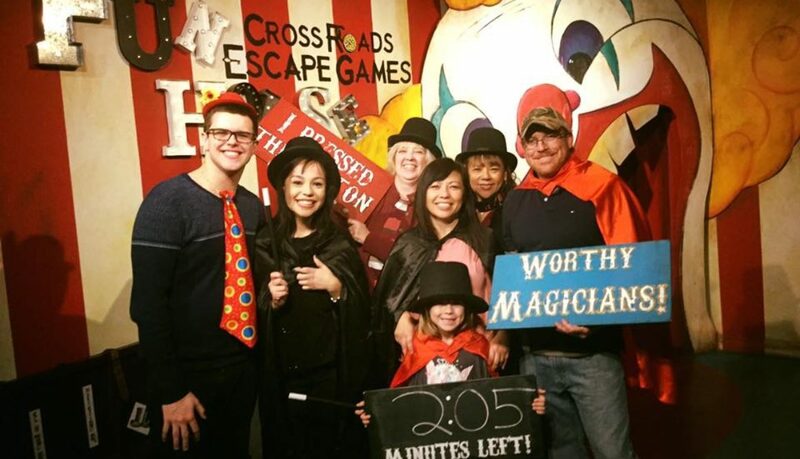 Escape rooms are a great idea for families getting together during the holidays. They provide an opportunity for groups of all ages to interact, to share, to laugh. Unlike going out to see a movie, you are not confined to a seat in the dark, unable to talk with everyone else. 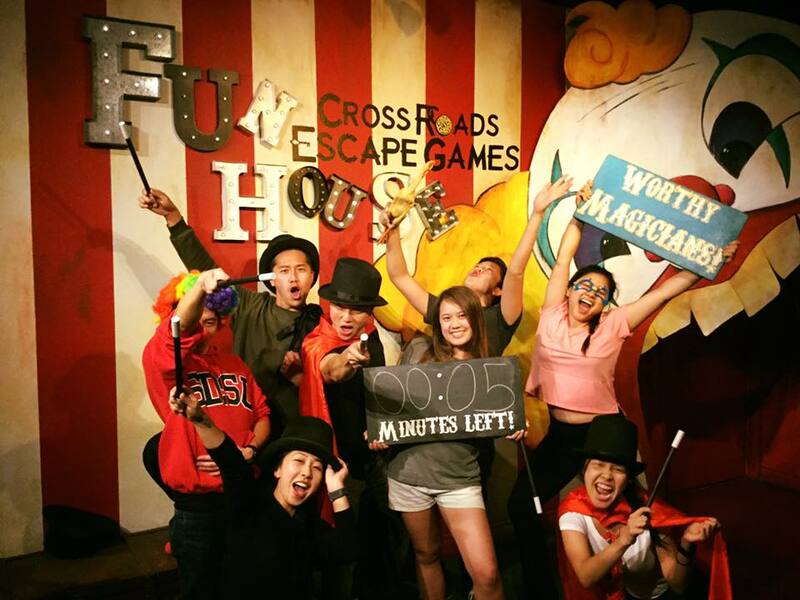 In an escape room, you are free to move around. You can talk to each other, joke to each other, and sometimes even act silly together. For those who have trouble striking up conversations, the puzzles in the room provide an easy starting point. Find a game with a medium difficulty rating. With a medium difficulty, first-timers and enthusiasts alike can contribute. The first-timers will be able to understand and solve puzzles, while at the same time the enthusiasts can still find the game challenging and engaging. Try finding a non-linear game. Non-linear games hold many puzzles that can be worked on simultaneously. This means that your group can split into smaller teams, giving everyone something to do. Find a theme that appeals to everyone. There are plenty of silly, kooky, fun games that you can play, just be sure to check the age limits for the rooms. Also pay attention to limits on group size. Find one that can hold your entire group, and see if you qualify for a private room. Include others. 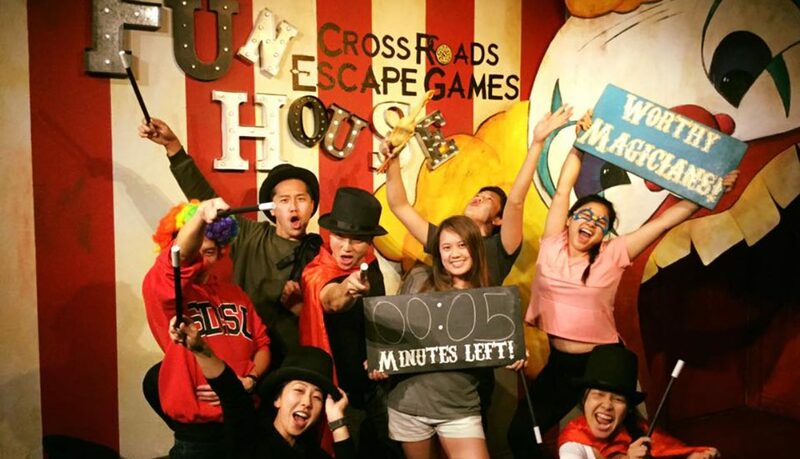 If you consider yourself an escape room master, sometimes it can be frustrating playing a room with those who have no idea what they’re doing. Just remember that you, too, were once a first-timer. Try guiding your family members in the right path. If an answer seems obvious to you, try helping your family come to the same conclusion as you instead of simply answering the puzzle. If you have a family member standing in the back not participating, even something as simple as “try this combination on this lock” could be enough to get them involved. Adjust your goal for fun. Working as a Game Master, I have had many groups whose only goal is to escape. We all love winning, but we can’t win 100% of the time. Approach your game with your number one goal being to have fun with your family. If you focus more on including everyone and having a great time, you’re going to come out on top. Escaping would just be a bonus. Especially if you are playing with a large group of first-timers, there’s the possibility of tensions running high. Take a step back, breathe, and look at the room as a bonding experience. 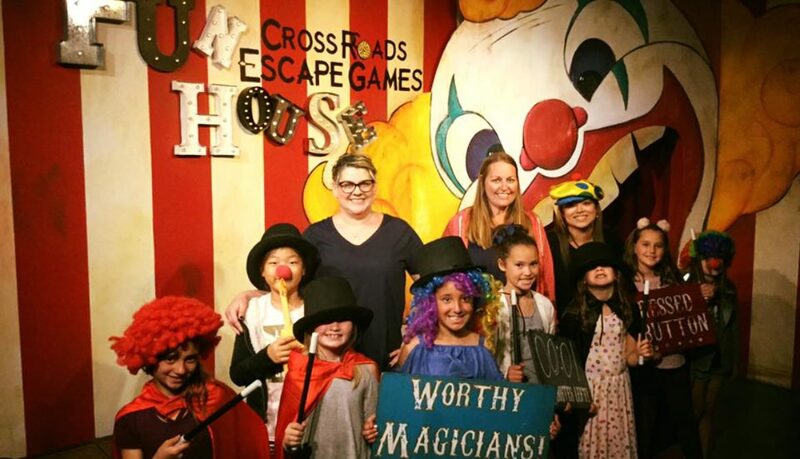 If you are in the Anaheim area during the holidays and need something fun to do with your family, The Fun House is the perfect game for you. Your group will enter a wacky carnival to prove yourself as worthy magicians before time runs out. As a non-linear game with a medium difficulty, there are plenty of puzzles for everyone with any sort of experience. If your group has kids 13 and under, we even have a special version of the game with puzzles designed for younger players. 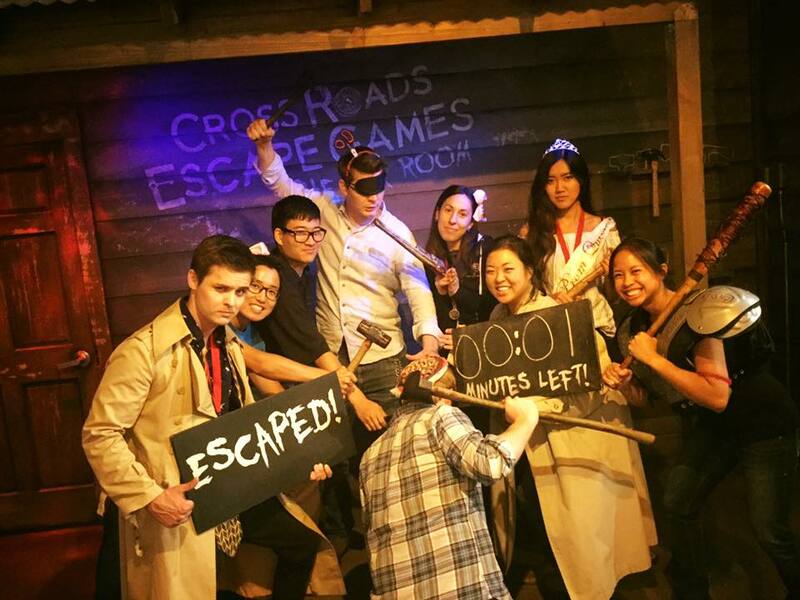 This holiday season, you can relieve a bit of stress by planning an escape room outing for your family. “Greetings and salutations dear readers, I am Zoltar the Great, the Seer of Secrets, and today I’ll be your guide to avoiding the terrible fate of eternal imprisonment. “It all starts in 1940. I was part of a very prestigious travelling circus that would draw crowds from near and far. During this golden age of circuses, I was the gem in the crown of my ring leader’s performance. Ah yes, I was truly a site for people to behold. And, oh, how they would gasp when I would peer into my crystal ball and lay bare the path to their future. Secrets? Scandals? Deep wells of unknowable knowledge? No problem for the Great and Powerful Zoltar. “But alas, the 40s were a turbulent time, and even a talent like mine was not enough to drag people from their sorrows and into our seats. Ah yes, it was quite the low point indeed. “Naturally, the Ring Leader had some tough choices to make and one by one the other acts were cancelled. Now, I will admit that this was curious, but I did not fear for my job. No, no, no. I was merely worried that another circus might come by and take me away from my beloved circus. That’s it. That is why I sought out our magician, Morgan something or other, for a cure to my worries. “Now it was no secret that Morgan and I didn’t get along very well. He, like so many others, couldn’t help but go green with jealousy when he would see the adoring fans showering me with compliment after compliment. However, when I so humbly asked him for a spell that would keep my act in the circus forever, he set his grudge aside and graciously agreed to help me. Perhaps he believed that by helping me, he might be able to bask in the glow of my success for that much longer. “Or at least that is what I thought at the time. “Morgan said he had something that would give me exactly what I wanted. He handed me a terribly dusty scroll and said if I signed it, I could be part of the circus forever. Without overthinking anything, I dipped my quill into some ink and signed the scroll with a perfect autograph. “Suddenly everything became shaky and my vision started to darken. Next thing I knew, I was trapped within a magical painting of myself. “Oh, woe was me in that moment. Sure, things could have been worse. Sure, he could have shaved one of my perfect eyebrows, or scarred the flawless skin on my face, but nonetheless this was definitely a terrible predicament to find myself in. “Luckily for me, I was still able to speak and my powers of foresight were keener than ever. So, I called out for help. And who would show up but the apprentices of the very magician that had done this to me. “I talked to the children and told them of how their master had tricked me and, bless their hearts, they believed every word I said. I gave them some good advice and sent them on their way to the magician’s tent. “By using their wits and working together the two apprentices were able to discover the mysteries inside their master’s tent and return to me with Morgan’s dreaded Grimoire. I was so pleased that I declared that they should be made worthy magicians at once! “But this was not the end of the tale. There was no happily ever after yet. Oh, no there wasn’t! The two young magicians looked through the Grimoire and found nothing in it that resembled a counter spell. Alas… I Zoltar the Great, the seer of secrets, and soon to be 5-time beer pong champion… was still trapped. “In the end, Morgan the Magician was arrested for the improper use of magic against a national treasure, the two young magicians were given a center stage performance in the circus’ main event, and I was trapped for what seemed to be all eternity. “Basically, you could say that the circus just wasn’t the same anymore. The two young magicians eventually left for better things and as the circus fell into debt, I was eventually sold to an old pawnshop owner whose hearing was so bad, I could never convince him I wasn’t an ordinary painting. “But, as Mother always said, when life gives you a lemon, just wait around until you find someone who knows how to make lemonade! My fate changed the day I was purchased by a lovely couple who saw my talent for what it was truly worth! 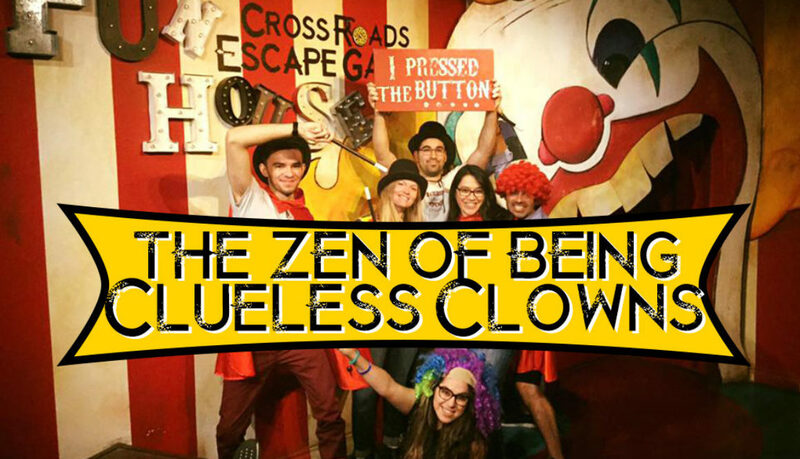 They gave me a well-paying job at Cross Roads Escape Games and since then, I have made it my mission to test those who wish to take on the Fun House, sorting the worthy magicians from the clueless clowns. It is my earnest hope that one day I will find a magician worthy enough to free me from my magical painting. And there you have it dear readers. Straight from the horses mouth. Now your new question that you should be asking yourself is if YOU will be the one who is worthy enough to set Zoltar fee?